While January seemed to go on for ages, February felt like it was over in a heartbeat. I blame it on those three days we didn’t have. I didn’t read as much in February as I did in January, but I did have a ton of fun reading! I read what is now a new favourite classic, and I finally read Landline, which had been sitting on my shelves for a good long while. I also really enjoyed doing these mini reviews wrap up style last month, so I think I’m going to keep on doing that! Although, I’ll still be doing occasional full-length reviews for books I really have a lot to say on (I’ll be finishing On the Come Up by Angie Thomas later today – you can bet I have a lot to say about that!). After my fantasy-heavy rotation in January, I really felt like reading a light contemporary novel at the start of February and Landline was the perfect pick. Rainbow Rowell is one of my favourite writers, but I have to say I’ve loved her YA novels much more than her adult ones. Fangirl and Eleanor & Park are both favourites of mine, but Attachments and now this one, while definitely enjoyable, weren’t that memorable to me. I love Rainbow Rowell’s writing, especially her dialogues and she also writes amazing characters. They’re always interesting and Georgie and Neal in Landline were so well-rounded and vibrant. I loved getting to know them and their relationship better throughout the book. It was a wonderful, flawed, realistic love story. Apart from the magic phone – that’s the one thing that just didn’t really do it for me. The first month of the year is already over! Well, I say “already”, but January definitely felt like it was longer than 31 days, didn’t it? Have we uncovered a conspiracy here? One of the reasons why I think January was longer than most months is that I managed to read six books this month! That’s pretty crazy for me – even though two of the books were graphic novels/comic books. 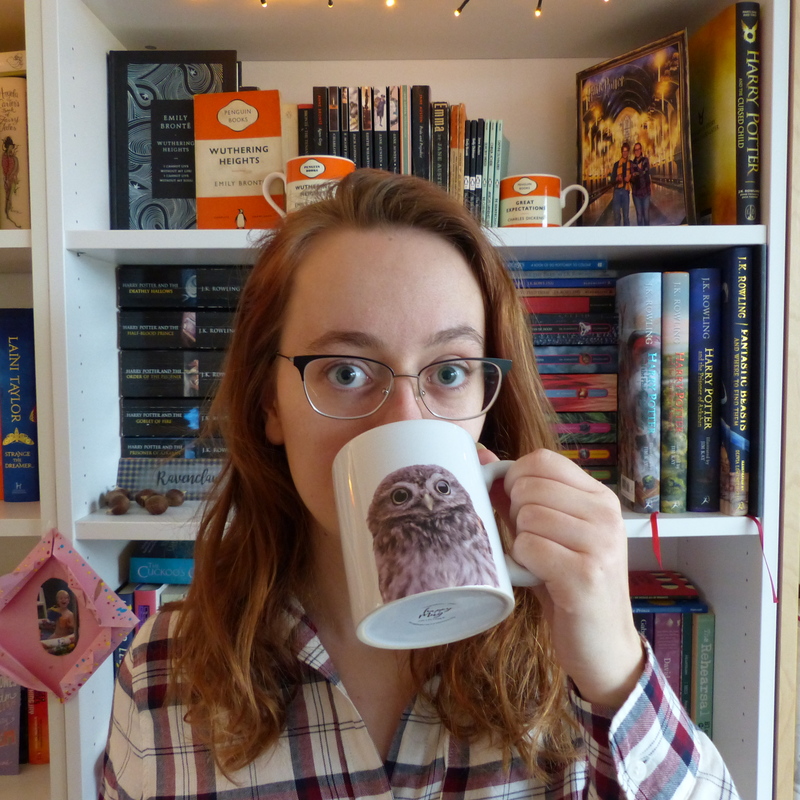 It was a wonderful month, reading-wise, and I figured a good way to update you on all the books I read is by doing another round of mini reviews. So, since we’ve got six (!) books to get through, let’s get to it! It’s been a while since I did a Mini-Reviews post! I don’t review every book I read; usually because I don’t feel like I have a whole post worth of stuff to say about a certain book, or because other books just take priority. But sometimes I take a look at my Goodreads “Read”-shelf and I think “it’s a pity I didn’t say anything about that one on the blog”. Those books are perfect for this type of post! At first I thought I could call this one “the 4-stars edition”, but then NW came and ruined things. Oh, well. Let’s go! Nutshell is the first McEwan I’ve ever read, and I really liked it! I read it for a job (I had to write a reading guide on it for book clubs) and it was a great book to dive into for that type of thing. The story is a Hamlet retelling and it’s told through the eyes of an unborn baby, so that’s two kinds of cool. The unborn baby thing means all we’re getting as a reader is what the baby hears from the womb, which means we only get his mother’s conversations with other people. He does imagine what’s happening outside of that, but he (and we) can never know for sure. It’s a really short novel, but I felt like it was the exact right length. The writing is beautiful, although somewhat pretentious – but to me, that fitted perfectly with the strangely intellectual character of the baby.